Sketchfab Community Blog - Sketchfab Texturing Challenge: Shoes! This week we’re turning our attention to fashion! Grab this pair of sneakers by kenprol and texture your heart out. Adding a bit of geometry here and there is allowed but be sure to concentrate on the paint job and textures! We’ve teamed up with Allegorithmic who are providing a full year of Substance Indie and a bag of Substance swag (total value of $275) for TWO lucky winners! Update: the winners are in! You can download the original files from the model above in a variety of file formats (Blender, Max, FBX and OBJ). TL;DR: Texture these shoes using your favourite texturing workflow, upload it to Sketchfab and tag it with #ShoesTexturingChallenge. Be sure to credit kenprol and link to his model. you will be judged primarily on your texturing skills. Once you’ve created your scene, upload it to Sketchfab, tag it #ShoesTexturingChallenge. Nicolas Paulhac and Pierre Maheut, Product Managers at Allegorithmic. 1 year of Substance Indie (includes access to the latest updates of all Substance software, plus 30 downloads a month from Substance Source). Substance swag (a tote bag, a t-shirt, and stickers). 3 Months of Sketchfab PRO. 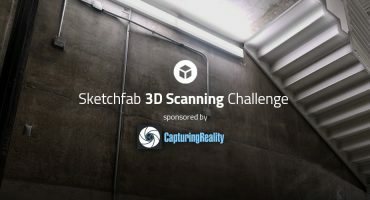 Contestants models must be uploaded to Sketchfab and tagged #ShoesTexturingChallenge to be considered. The winners will be contacted by Friday, February 2. This model already has textures included with it… was that intentional? im still trying to learn how modeling, but i like to try this one, one question if can doit here, it have to be textured trying to imitate a leather material, or can be any type of thing like, sand, grass? You can use any material you like! Hi! Could i use these shoes on my game character? I mean not in these contest, just for my own purposes? 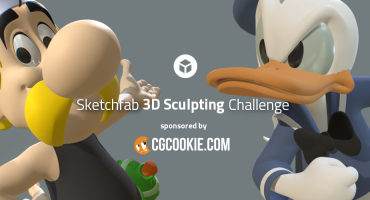 Sketchfab Sculpting Challenge: Cartoon Characters!